Of course, there's plenty of other great new info in this issue too... new product announcements from Propellerhead, Celemony, iZotope, Garritan, and more. If you're interested in making your gigs more portable, be sure to check out our reviews of the Gemini MS-USB Portable Sound System and the Stanton SCS.4DJ Digital DJ Mixstation. Some new and interesting topics have been started in the DigiFreq forums, and we've got an updated article about customizing the Cakewalk Tools/Utilities menu. Finally, we've included a very useful tip for anyone looking to increase the performance of their Windows Vista/7 PC systems. Also, in case you missed it, I'm providing this free edition of the SONAR X1 Power! Tips and Techniques PDF, which includes step-by-step information about performing various music editing tasks with Cakewalk SONAR X1 that all X1 musicians can use. RealTraps is pleased to announce their product, the Portable Vocal Booth. This clever device mounts on any microphone stand to create a highly controlled environment for recording vocals and spoken narration in acoustically hostile spaces. Unlike other products that are too small to be effective in noisy or live sounding environments, or that color the sound, the RealTraps Portable Vocal Booth is much larger comprising a pair of 2 by 2 foot absorbing panels in a fully adjustable V shape. The integrated base attaches easily and securely to any inexpensive microphone boom stand. The RealTraps Portable Vocal Booth can also be placed directly on a table or other flat surface. 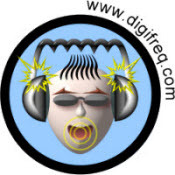 And of course, we still have all the great discount deals from Edgesounds, Samplerbanks, AMG, macProVideo, V-Plugs, Xylote, Ohm Force, IntelliScore, Musicrow, Blue Cat Audio, Groove Monkee, Smart Loops, Live Studio Drums, Acon Digital Media, Precisionsound, and Drums On Demand. Precisionsound releases Hybrid Factory for Kontakt - Get 10% off! Groove Monkee Releases Afro-Cuban Percussion MIDI Drum Loops - Get 10% off! EdgeSounds DrumMashines Sound Sample Library Released - Get 10% off! Audio Routing for new Muti-effects pedal. Cakewalk SONAR allows you to launch other software applications using the Tools menu. [Ed. Note: In SONAR 8.5 or earlier, it's referred to as the Tools menu, but in SONAR X1 or later, it's referred to as the Utilities menu. For the remainder of this article, I will refer to it as the Tools menu.] For example, if you have an audio editor installed on your computer (such as Sony's Sound Forge), you will see it listed in the Tools menu. This lets you edit your audio data using another program without having to close down the Cakewalk software. 1. Right-click on the Desktop and choose Personalize. 2. If you're using Vista, choose Window Color and Appearance and continue to Step 3. If you're using 7, just scroll down until you see the Basic and High Contrast Themes and choose one. I'm currently using the Windows 7 Basic theme and it works nicely. 3. Continuing with Vista... choose Open Classic Appearance Properties For More Color Options. 4. In the Appearance Settings dialog, choose Windows Vista Basic in the Color Scheme list and click OK.
Windows will make some changes and in a few seconds you should see the new theme. If your PC responds the same as mine, you'll see faster screen updates and your system will be more responsive overall.